760-757-7296, 949-498-0530info@palapakings.comTake a Permanent Vacation! The wood is rustic in nature which contributes to the authentic palapa look. The tops are handwoven in mainland Mexico. Our Palapa tops are pre-woven pieces which makes them extremely durable in windy conditions. Installation is a breeze, Dig a hole or core a hole, construct the frame, place the pre-woven thatch tops on the frame and enjoy! 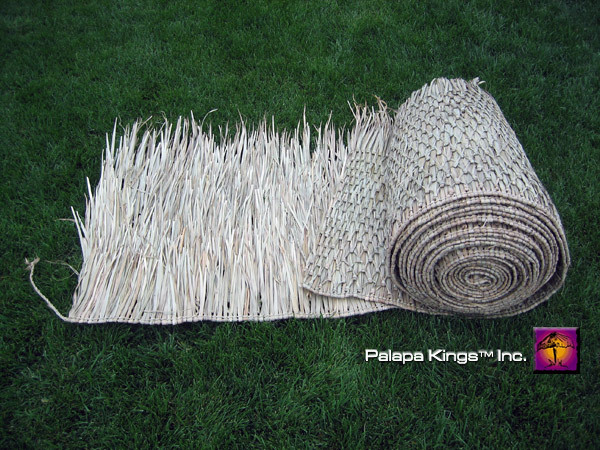 Our Palapa kit will transform your patio, pool area, yard or commercial property into that paradise we all yearn for. Call or email us for information!